HOME SEARCH - HOW does it WORK? On receipt of our signed service agreement, we will forward essential documentation and gather information from you so that our consultants are able to source new properties within your area and budget. This includes our "Home Search Wish List". We source new properties and forward any that we feel are suitable and meet your requirements. 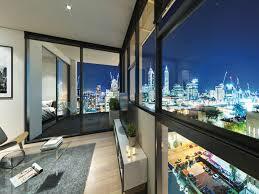 Our consultants have an excellent rapport with many of Perth’s property managers. We receive private and on-line listings from property managers on a daily basis, often prior to them being advertised. Once you have chosen the properties that you would like us to view on your behalf, we make appointments to view those properties with a leasing agent. On inspection of the properties, we will take additional photographs that may not be included in the property listing. If required, we can take a short video to assist you with your decision. We will provide you with a written property report at each viewing and give our unbiased opinion. If we feel that the property is suitable, we will recommend that you submit an application. Once you have agreed that you would like to submit an application we will liaise with the property manager, submit the application on your behalf and negotiate the terms and conditions of the lease. The processing time can vary and is usually dependent on the availability or your referees. It could take as little as a few hours up to 7 days to receive a decision on any application. Ultimately, it is the property owner’s decision whether or not the application will be accepted. If you are the successful applicant, the agent will advise us and commence preparation of the lease agreement. The real estate agent will provide you with direct banking details and to secure the property, you will be required to pay two weeks rent in advance, four weeks bond plus any pet bond (if applicable). If you are unsuccessful, we continue to view other suitable properties on your behalf. We live in perth and we know perth! How can New In Town assist you to lease a property in Perth?... We provide you with the right tools. 1. Home Search Wish List. The home search wish-list provides us with essential information including your specified budget, location and property requirements. 2. Helpful hints on how to complete an application form. We encourage you to read our step by step guide to completing an application as it provides useful tips when completing the application form. 3. We'll let you know what we need from you. We will ask you to provide documentation to support your lease application. You will be asked to complete an“Offer of option to lease a Residential Premises” so that we are prepared to apply for any suitable property. We can provide a guide for median rental prices for some of Perth’s more popular suburbs. For more information regarding our home search service and frequently asked questions click on the FAQ link.